Burgers, Beers and Beastie Boys. Join us at ABV April 21st at 9 PM. 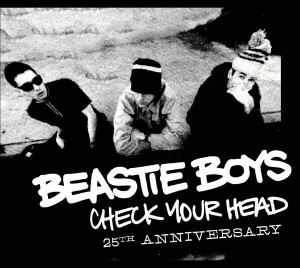 The Beastie Boys released Check Your Head 25 years ago on April 21, 1992, receiving universal acclaim for its eclectic and unconventional blend of styles. Landing on almost every “top 100 albums of all time” list, the Beasties move back to their rooted crust punk style and deliver grand hits like “Pass the Mic” and “Jimmy James”. Come party with us on this legendary anniversary! They fought for your right to.